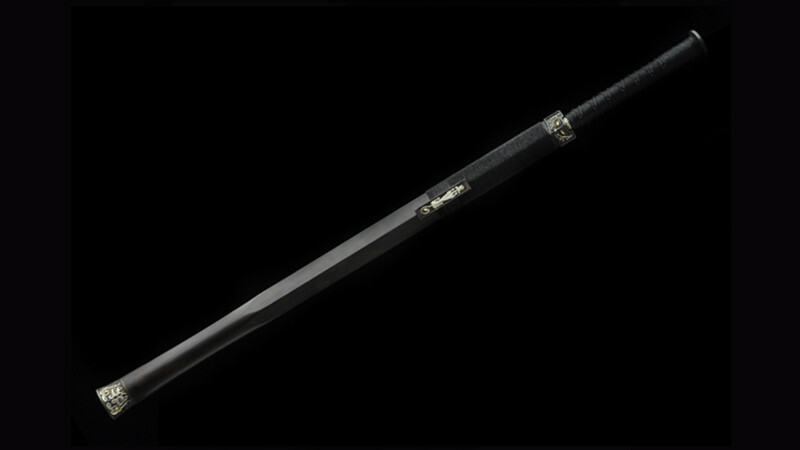 The Jian is a Chinese double-edged straight sword. 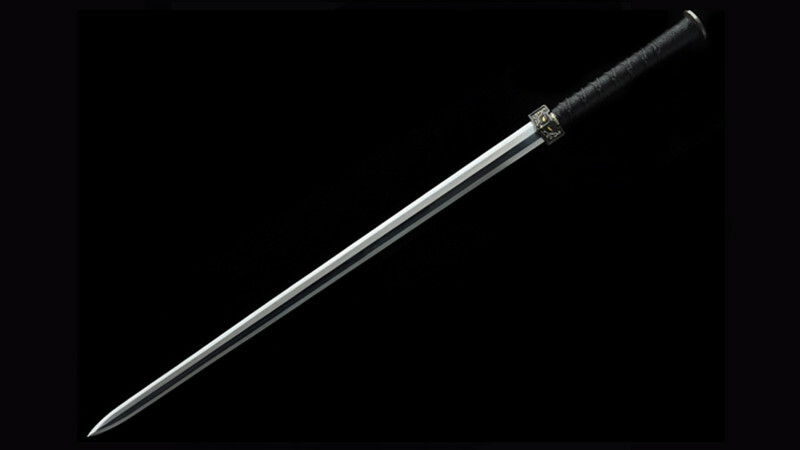 The earliest records of a jian dates back to the 7th century BCE. 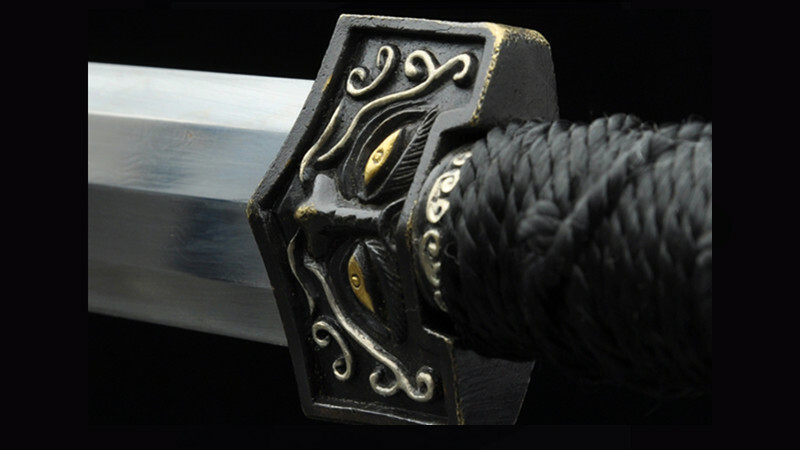 The first jians were mostly made of bronze and then progressed to iron and then steel with advances in metallurgy. 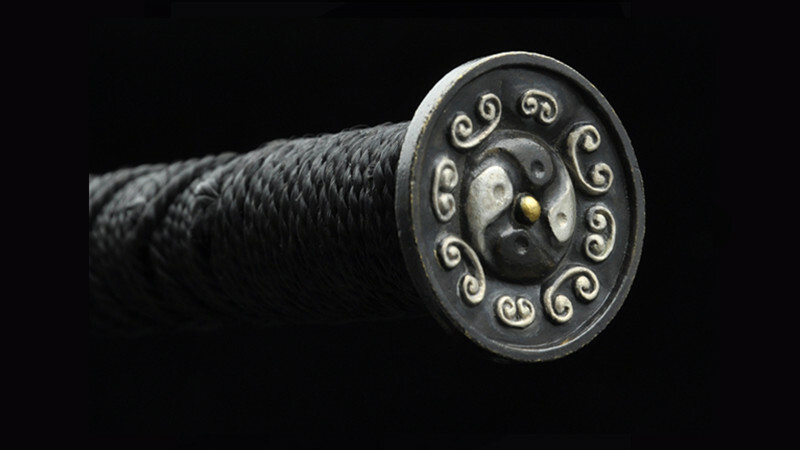 The jian's form varied slightly during the different dynasties in China but with the main feature of being double-edged and straight retained. 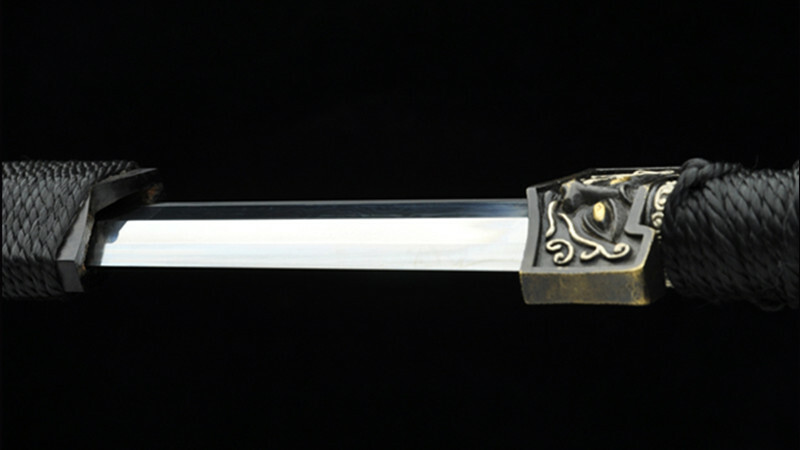 Shen Guanglong Facemask Han Jian sgl6018 is a beautiful reproduction of the sword in the Han dynasty (B.C 202-A.D 220). 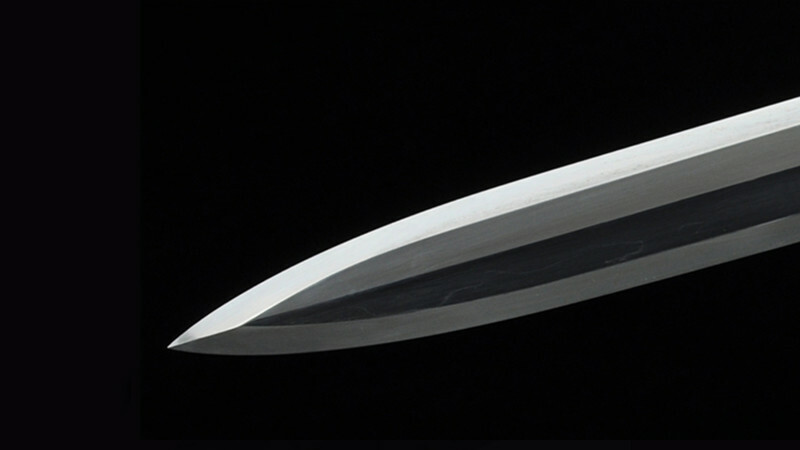 The blade is made of folded steel and octahedral. The handle is designed to be held by one hand and is made of hardwood wrapped in nylon cord. 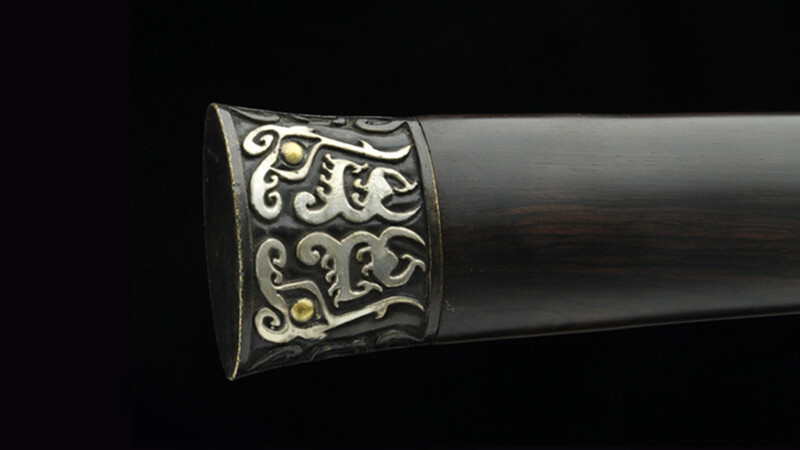 The handle ends in a flat, iron pommel. 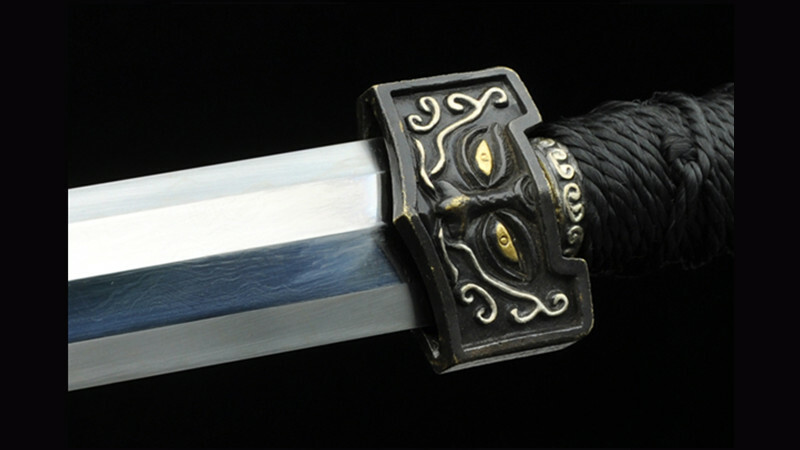 The handguard and ornaments in the scabbard are also made of iron. The base material is iron, white lines are silvering. 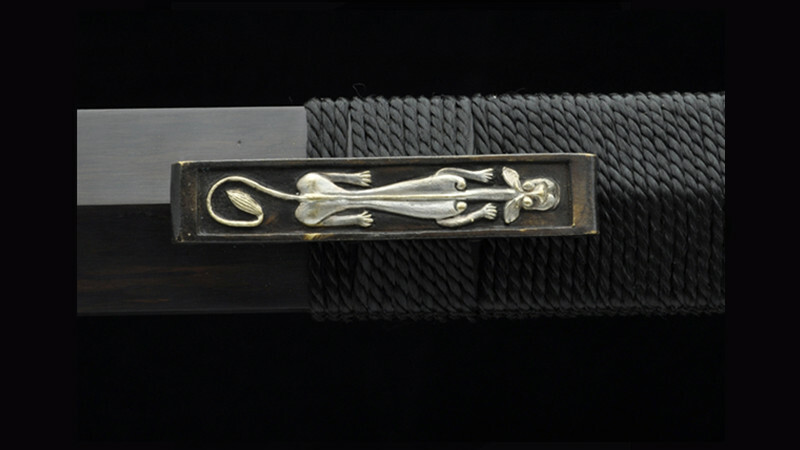 The fittings are handmade, the pattern decoration is from Han dynasty. 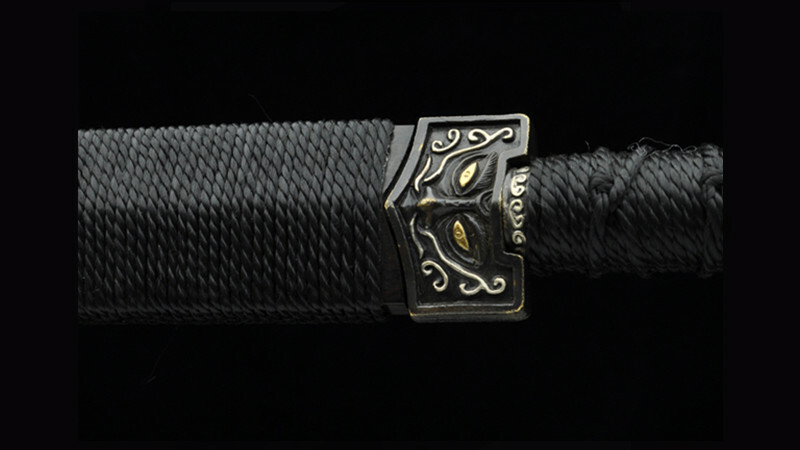 The scabbard is made of ebony, a type of black hardwood with a fine texture. 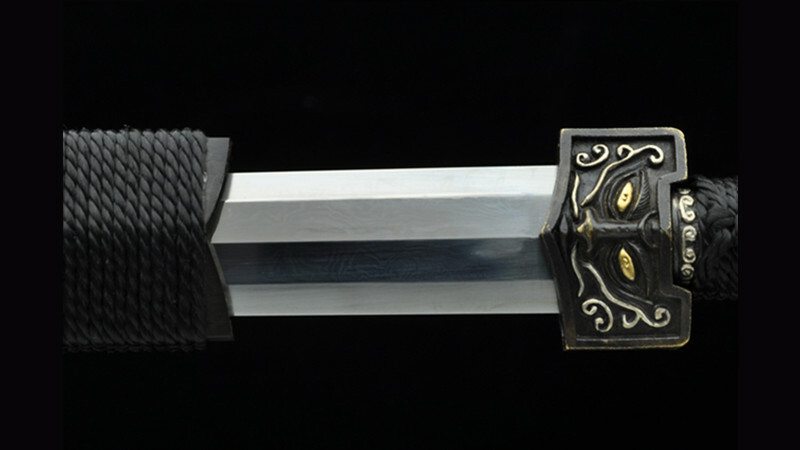 The swords are handmade, slight difference exists, please understand.